Here it is, the 31st and unsurprisingly I haven't finished the planting. No chance of it really but at least the good weather promised has come and there should be several days of easy work in the warm to look forward to. People often predict the weather to come by reference to the quantity of berries on the bushes, somehow a lot of berries usually implies a harsh winter although I'm not quite sure why, wouldn't that just prove it was a good spring? 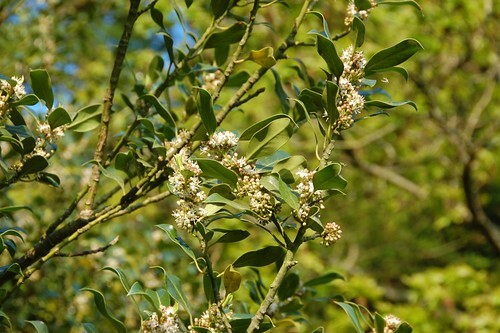 Anyway, there's a lot of blossom on this holly. Wonder what that means. Bright yellows are something the camera often has trouble with. 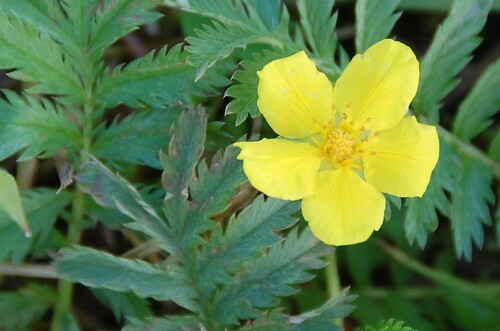 This picture of a silverweed flower proves the point. 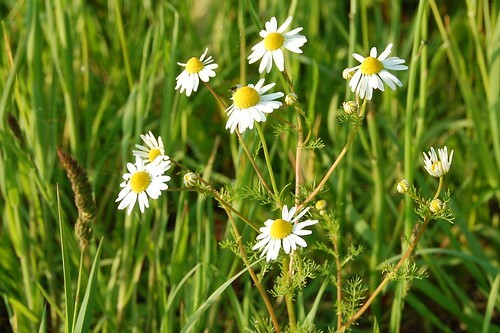 A common weed, the plant has edible roots if you can be bothered to gather enough of the scrawny little things to make a meal. 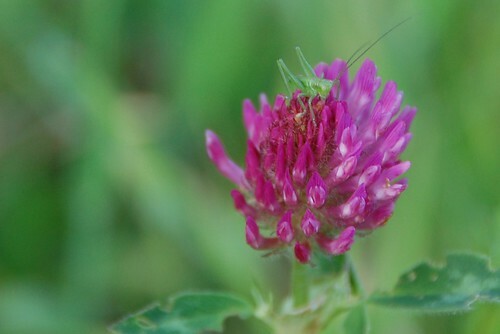 A baby cricket on a clover flower. We seem to be a bit short of insects, I'm hoping they're just making a late start like the rest of the year. 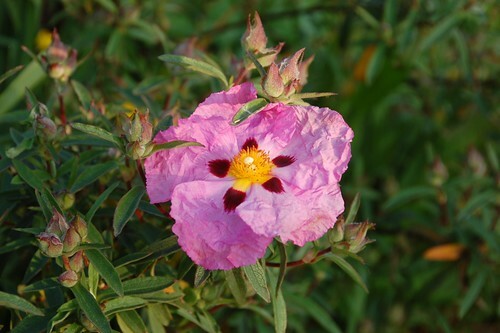 The first flower came out on the Cistus today, proof that the season is advancing if anything could be. A variety of pink bush I remember from being a child. It was next to the vinegar plant. :) do you have any of the other sort of pink bush? the huge one with the wide grey green leaves? I don't think so, I don't have any vinegar plant either, I'll have to get some. Not quite sure which pink bush you mean, we'll have to do a garden centre some time. Might it have been Lavatera? Believe it or not, I have a crow which made its nest on the last branch on the top of a tall fir tree. Crows don't make their nests where their eggs could be in the rain. On rainy years, they shelter their nests below the branches, lower. Time will tell if crows forecast the weather.